Jal Jhulni Ekadasi, also known as Jal Jhilani or Jal Jhulani Gyaras, is observed on the 11th day of the Shukla Paksha (waxing phase of moon) in Bhadrapad month in Gujarat. 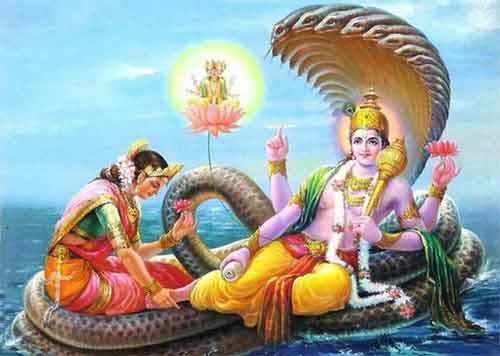 Jal Jhilani Ekadashi 2019 date is September 9. This Ekadasi is popularly known as Parivartini Ekadasi. This particular name of Jal Zilani, or Jal Jilni, is widely used in Gujarat and by the Swaminarayan Sect. It is also known as Dol Gyaras Ekadasi in Rajasthan and is of great significance in many temples in Rajasthan. Legend has it that Lord Vishnu who is sleeping during the Chaturmas period turned sideways from his supine position on Jal Jhilani Ekadashi day. Another legend associated with the day is that Lord Krishna took the Gopis in Vrindavan for boating and in return demanded yoghurt. So people donate and share yoghurt on the day. Some devotees observe a strict fasting on the day. They do not take water. But most devotees observe the usual rules associated with Ekadasi fasting on the day. As part of puja on the day, an idol of Lord Krishna is taken to a lake or river and worshipped. The idol is also taken on a boat ride on the river. Some people also carry the Ganesha idol installed as part of Ganesh Chaturthi festival and immerse it on the day in a lake or river. It must be noted that Ganesh Chaturthi festival begins five days before Jal Zilani Ekadashi. Therefore some people immerse Lord Ganesha on this day. How to observe Ekadasi Fast?